The H2 Series UltraWater Replacement Filter-Set is for the Athena H2, Vesta H2 and Melody H2 water ionizers. It includes the both filters, and, as a set, it's rated for 1,000 gallons. 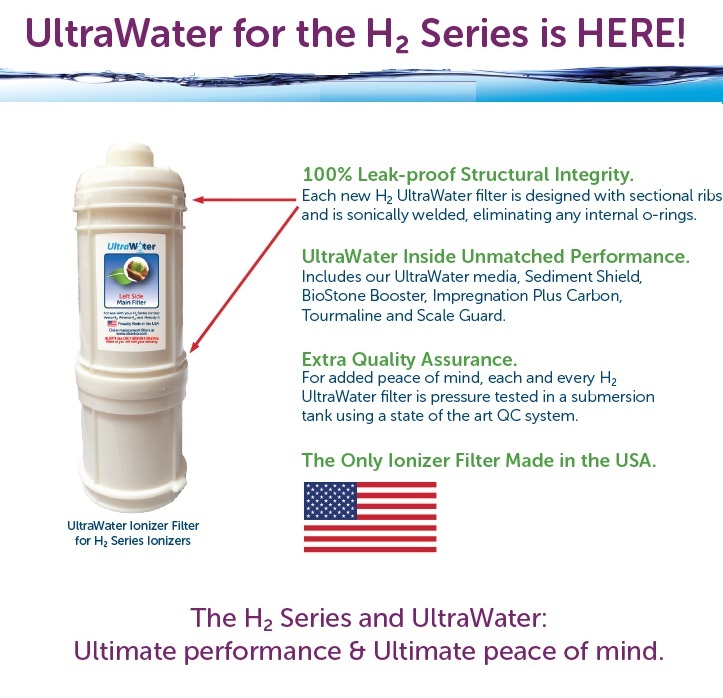 The H2 Series UltraWater Replacement Filter-Set is our highest quality filter system, and will remove the important impurities necessary (including extra Fluoride removal) prior to ionizing, giving you crystal-clear and clean ionized water. The first filter is the UltraWater filter and the second one is the extra Fluoride removal filter.